In logging, strawline (aka haywire) is a small diameter cable fitted with special hooks, typically sold in common pre-cut lengths of 250 - 300 ft. It is carried and pulled by hand across the canyon or up the opposite side of the mountain, and then connected to a heavier cable (for example, a skyline). It is then used in a system of blocks and pulleys, and pulled by the machine (yarder) to get the skyline out into the brush, ultimately reaching the anchor point. The size of the cable you intend to move / pull determines the diameter of the strawline you use--the bigger, the stronger. 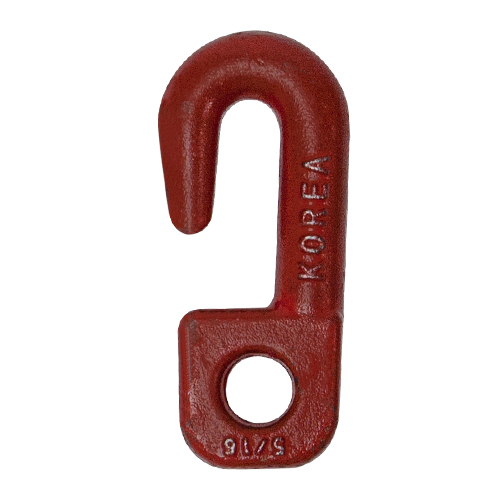 These hooks are available to purchase separately as replacement / repair parts for existing haywire sections. * Breaking Strength shown is the full rated tensile strength of the wire rope. Please note that given the way strawline is tied in knots, and how it is used in the field, this full Breaking Strength may not be achieved.